Democrats in Horry County are taking action to combat plastic litter in our food chain, waterways, neighborhoods and oceans. Intense focus is on the plague of plastics: H.3529 in the SC Senate and the Zero Waste Resolution passed at the HCDP Convention March 24. 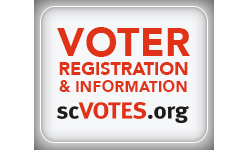 What do these mean for voters in Horry County? There is growing concern around the world about the amount of plastic debris. 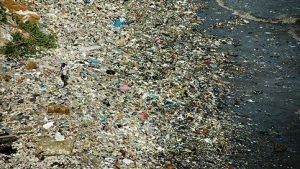 Early research by Captain Charlie Moore revealed a “Great Pacific Garbage Patch” which recently has found to be even more widely distributed in all oceans, and waterways. Plastic microfibers have even been found in 90 percent of bottled drinking water samples from around the world. Two Horry County Democratic clubs, Southenders and Westsiders, have partnered with the SC DOT litter pick up for several years as part of Democrats Care community efforts. This has not fixed the litter problem, but has prevented some plastic from disintegrating into the environment. As County taxpayers, we cover the long term costs of plastic disposables for our residents and the tourism industry. Our limited landfill space is being consumed at a rampant rate. In the past, China accepted much of our “recyclables,” but now refuses to take almost any of it. Waste costs will go up, but how much and for whose benefit? The “Zero Waste Resolution” passed at the HCDP Convention addresses the issue. It supports regulation and reduction of plastics and other disposables, and opposes ordinances and legislation that would interfere with state and local efforts to regulate waste. The Horry County Democratic Party further resolves to reduce our own waste footprint at meetings and events. We can all do our part. The three towns that have already passed ordinances placing a user fee on or banning a variety of containers have been grandfathered: Isle of Palms, Folly Beach and Surfside Beach. Under this bill, all other jurisdictions would be prevented from controlling the tsunami of waste. The principle that those affected should have a say, or “Home Rule” is threatened. H.3529 has sparked intense lobbying pressure from an industry that capitalizes on low gas prices and bears none of the longterm costs of disposables. Taxpayers, not the industry, cover the litter pick-up costs, landfill costs, the costs of plastics in our food chain and suffer the endocrine disrupting effects impacting human health. We call on all legislators to oppose this bill for common sense reasons and to protect Home Rule, and especially our Democratic Senators, to uphold principles of transparency, and of economic and environmental justice.